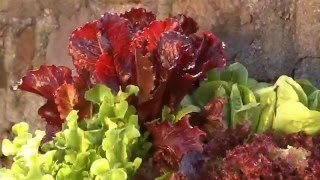 Perhaps the most beauteous lettuce we've grown: a star selection for your salad bowl. We consider this the most beautiful lettuce we have grown. With bright-green cupped leaves splashed with rosy-red, this butterhead type makes a visual and flavorful splash in the salad bowl. The taste is superb, buttery and mild. Loose heads grow to 12" across and can be harvested in about 55 days. Lettuce, Yugoslavian Red is rated 4.2 out of 5 by 5. Rated 1 out of 5 by Garden Grannie from Disappointed I have tried to grow this lettuce for three years and it looks nothing like the picture. It does not have the bright colors and the plants were very early to bolt. Rated 5 out of 5 by Kathy60 from Great lettuce Grew this in fall in Florida. All seeds germinated, no pest problems, prolific producer. Very pretty and great in salads. Did well in heat and loved the little freeze we had. Rated 5 out of 5 by Paulywog0667 from Good So Far My first season with the variety. I have some that's ready to thin for outside. 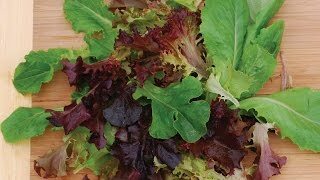 Rated 5 out of 5 by Bigfork from Yugoslavain Red Lettuce The best lettuce I have ever grown in the fall, winter and spring. Performs beautifully all winter long under row covers. It makes large beautiful heads, that remain tender and mild. I have successfully saved seed from this heirloom for 2 years now. Great germination.